A young woman who expresses a desire to become a Salesian Sister applies to the Institute and lives in a community of Salesian Sisters. She is invited to spend times of prayer, relaxation, retreat, personal growth and ministry with the Sisters. These real life experiences help the person to develop an awareness of her call. The length of this initial period of formal discernment with the community depends on each individual’s needs. The journey continues with Postulancy, a time of immediate preparation for the Novitiate. It is a time of spiritual growth and ministry experience. The young women become familiar with the life, spirituality and ministry of the Salesian Sisters. The Postulancy lasts for 10 months. The Novice enters a time of real initiation into consecrated life in the Church as a Salesian Sister. 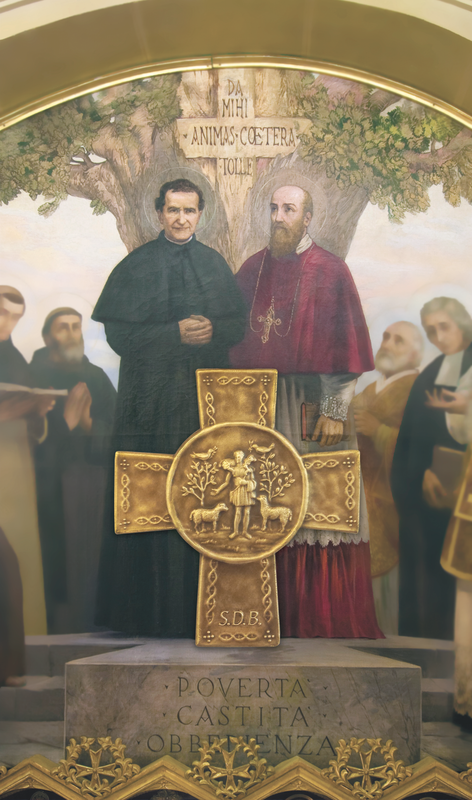 By means of serious study of religious life, of theology, and through ministry experience, the Novice learns to center her life in Christ, living and learning the spirituality of St. John Bosco and St. Mary Mazzarello. The Novitiate lasts for 2 years. The novice makes her first vows as a Salesian Sister and commits herself to love the vows of chastity, poverty and obedience for a temporary period. The Sister freely chooses to unite her life in Christ, giving herself in service to youth in the spirituality of the Salesian charism. The time of temporary profession can last from six to nine years. After six to nine years of temporary vows, the Sister makes perpetual vows. She promises to live her life as a Salesian Sister forever. She will spend her whole life in the service of the Church bringing Christ to the young.